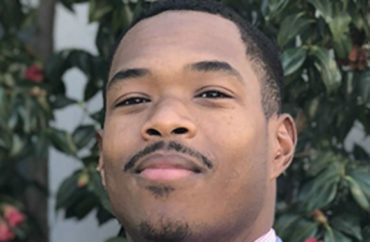 So says Justin McClinton, chosen last year as one of 10 inaugural fellows by the University of California’s National Center for Free Speech and Civic Engagement, after several months in the fellowship. In an essay for The Federalist, the education policy PhD and Morehouse College alum explains how he came to see the role of the fellows as “window dressing” for the center. The essay is timed to coincide with the center’s “Speech Matters” conference today. McClinton says the conference serves as little more than “publicity for the center and its star-studded advisory board,” including a former far-left U.S. senator, an Obama administration education secretary and Twitter and Facebook officials. The representatives didn’t like his initial topic – the response of campus administrators to the violence that greeted Milo Yiannopoulos during his 2017 campus visit – so McClinton changed it to a “more robust exploration of how online media has influenced free speech in higher education,” focused on interviews with students and faculty. My op-ed had been initially accepted, and the center had ample time to inform me if it did not match the format they were looking for. Because of this, I believe it was some of the conservative elements of my work that ultimately led to their decision to censor me.